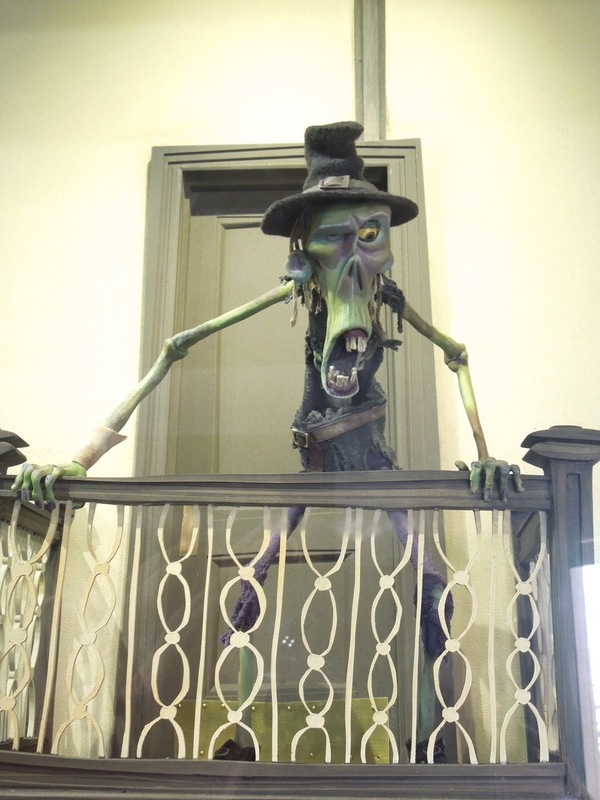 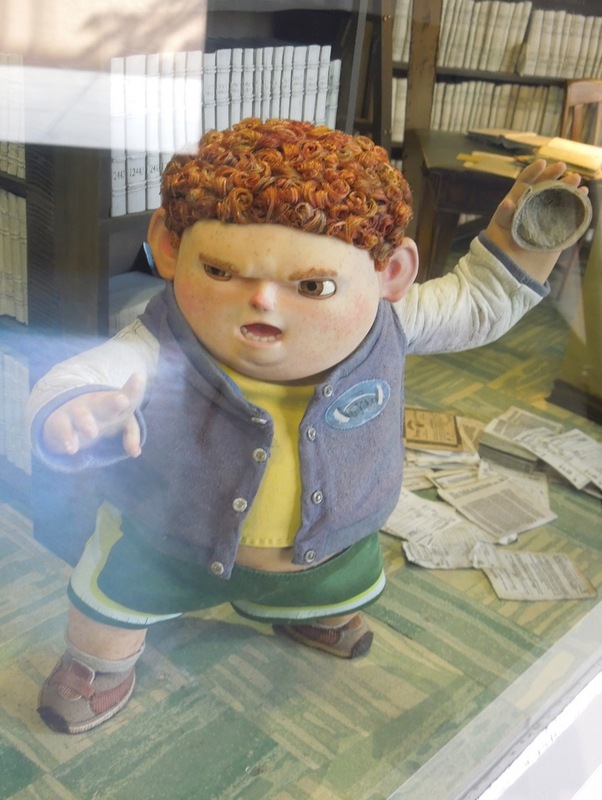 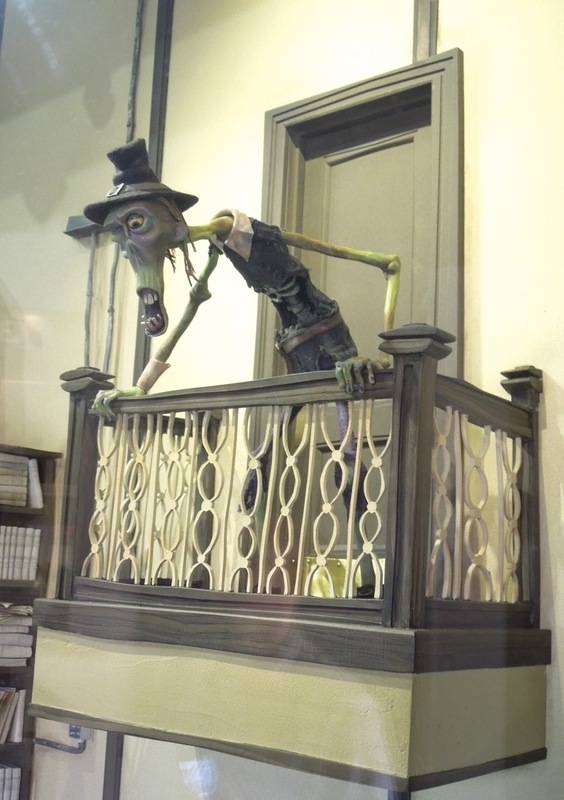 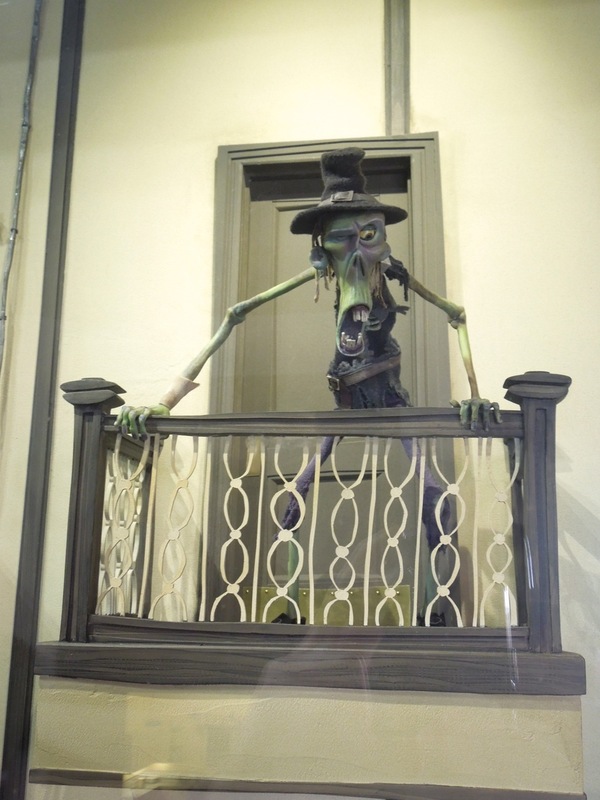 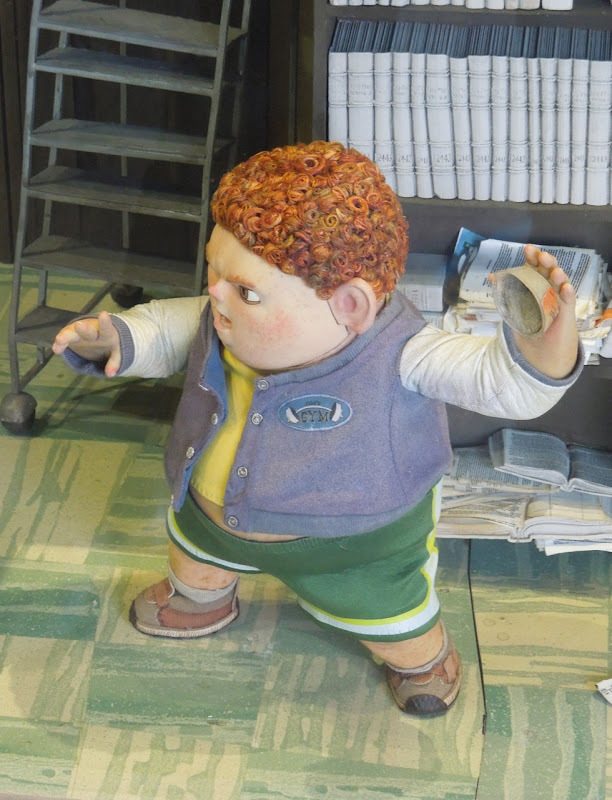 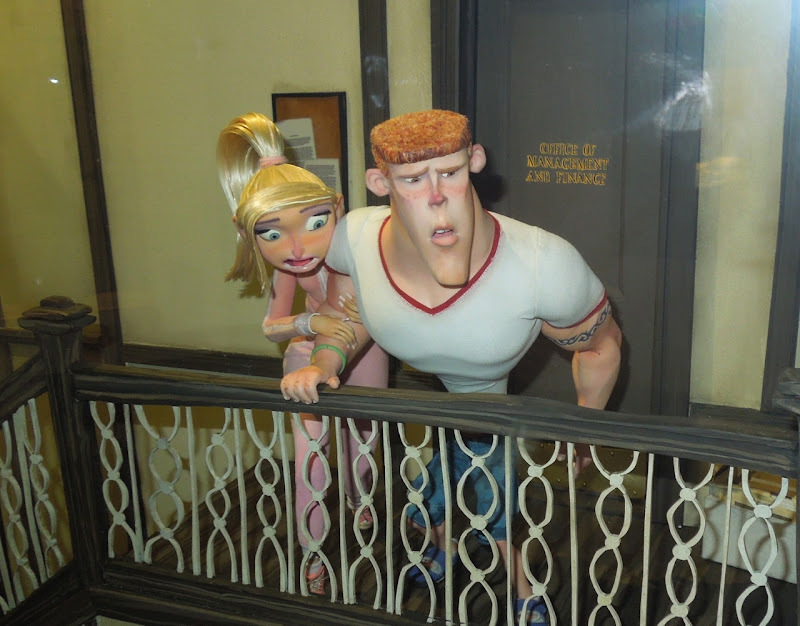 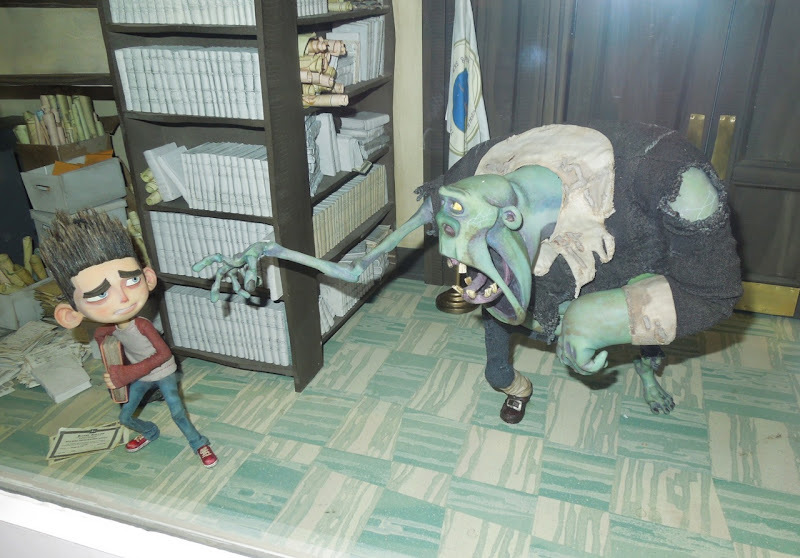 In addition to the Norman maquettes and stop-motion puppets from Laika's ParaNorman on display at the NBC Universal Experience attraction on February 7, 2013, there were also more characters, creatures, vehicles and sets featured in the 2012 animated horror comedy to ogle over and enjoy. 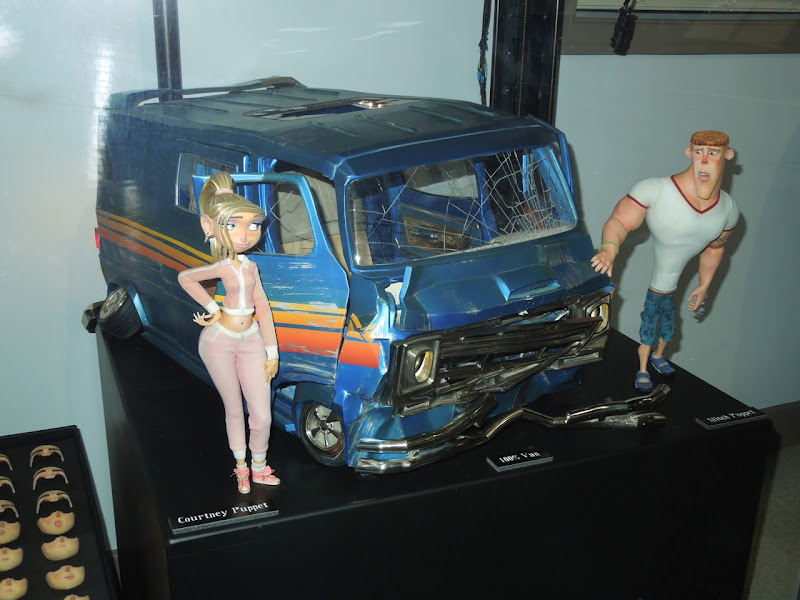 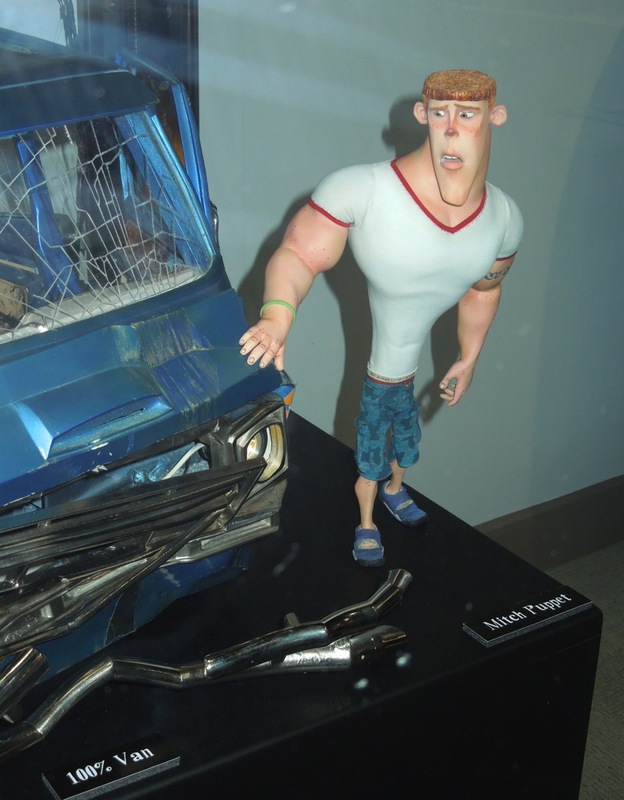 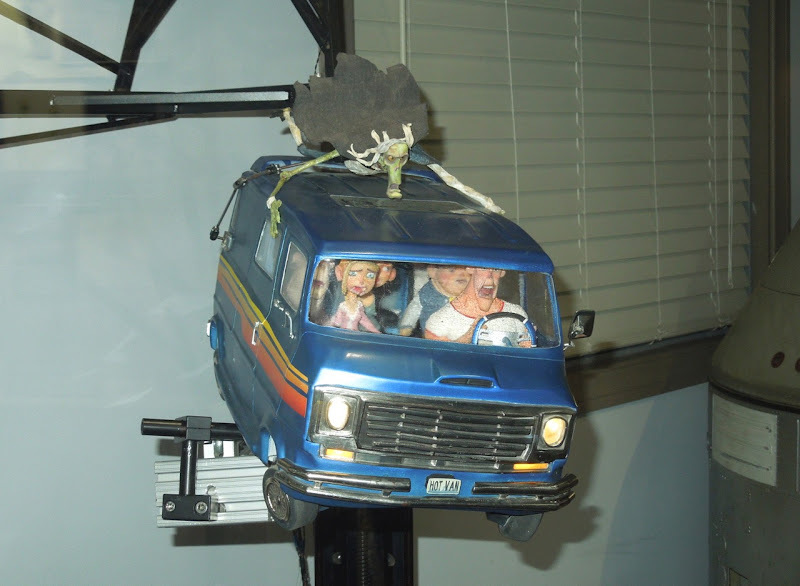 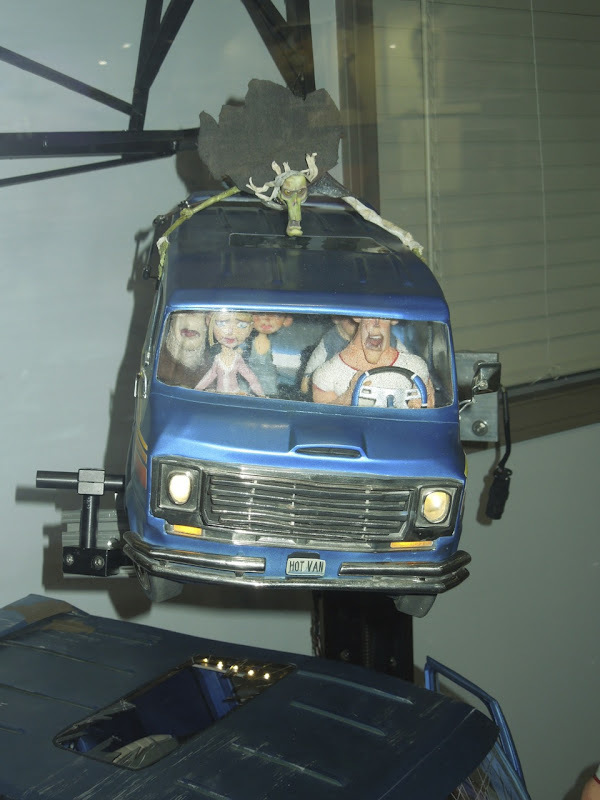 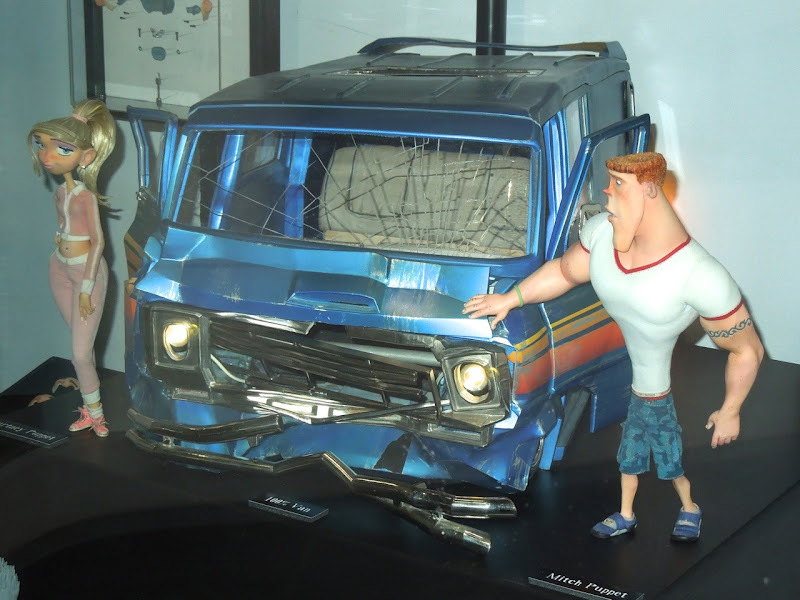 Included in the ParaNorman exhibit to examine up close were stop-motion puppets of Norman's older sister 'Courtney Babcock', together with High School jock (and Neil's older brother) 'Mitch Downe' beside his crashed van (which evokes Scooby-Doo's iconic Mystery Machine don't you think). 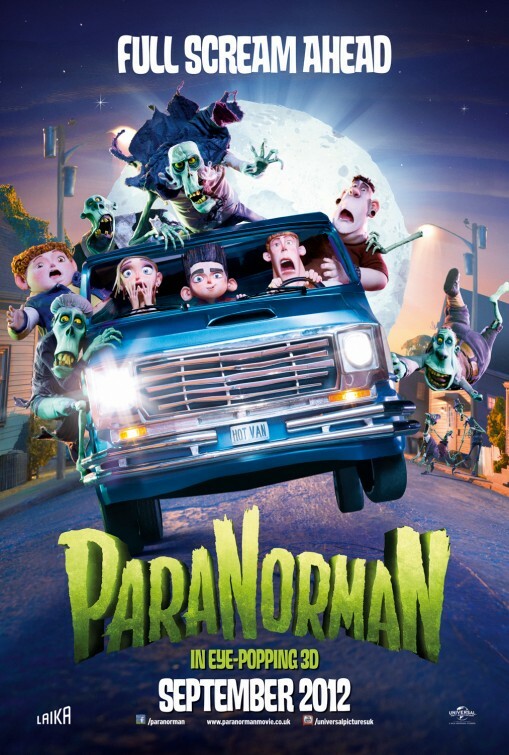 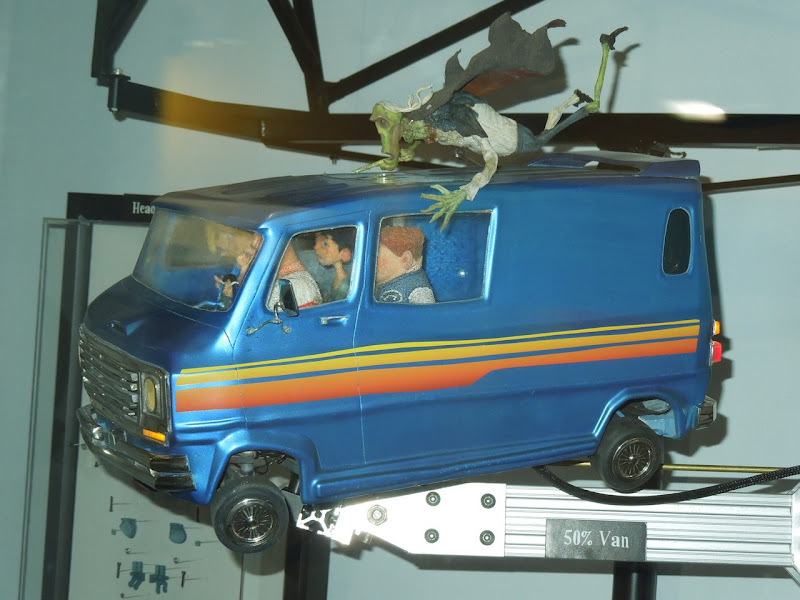 In addition to this full-size and 50% scale model, I've seen another example of this ParaNorman van with the zombie on top of it on display at ArcLight Hollywood to promote the movie before its cinematic release. 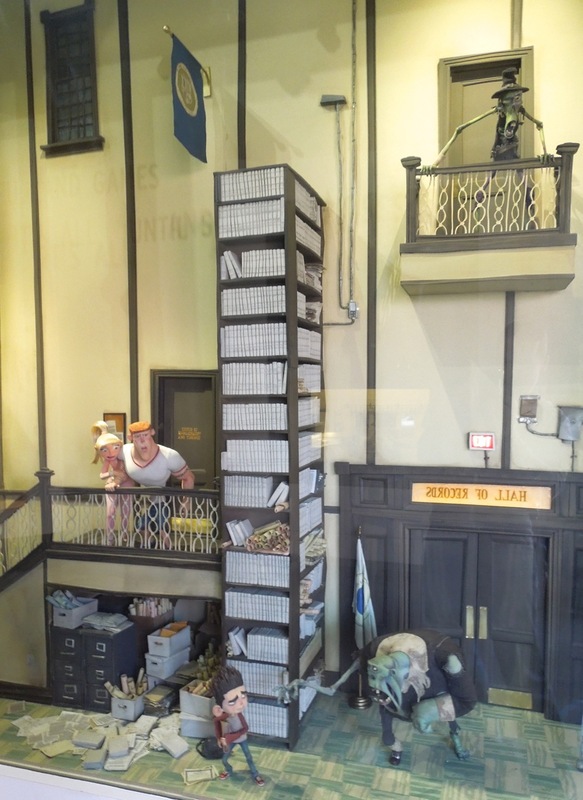 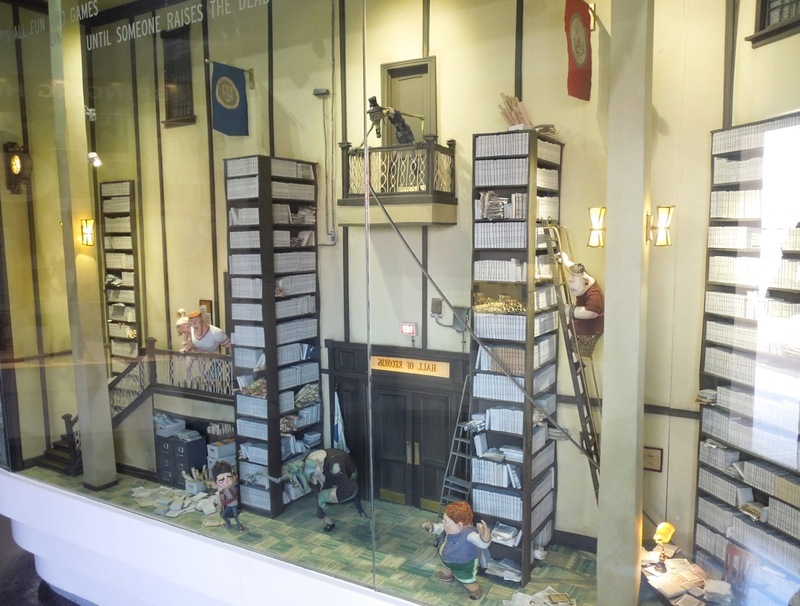 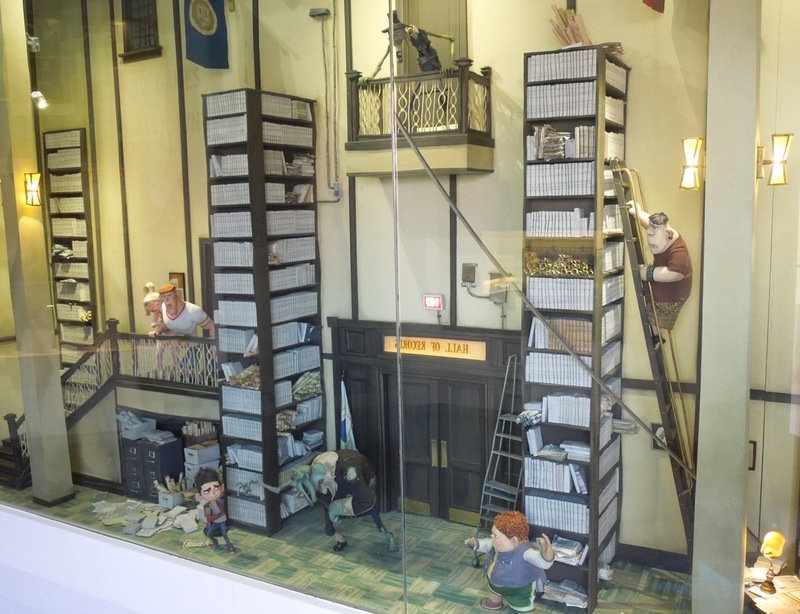 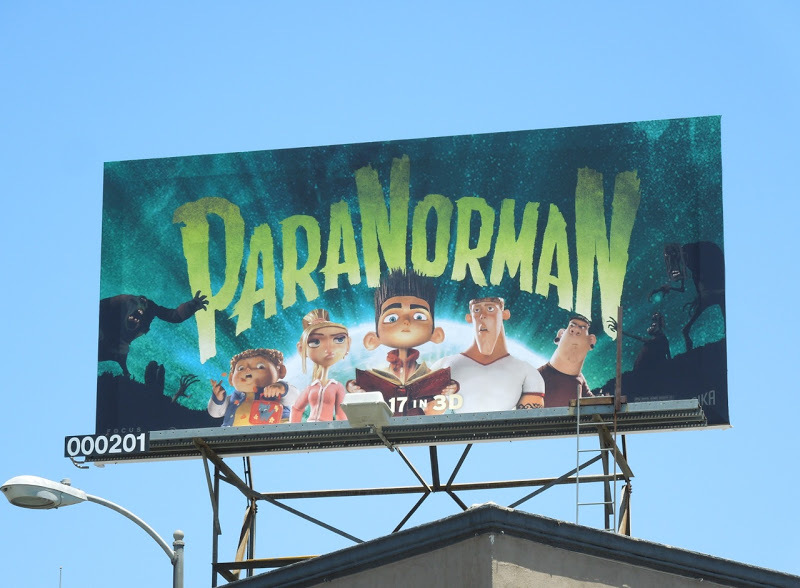 In the same way Universal Studios Hollywood had a fantastic stop-motion animation display for Coraline on past visits, they had this wonderful Hall of Records set from ParaNorman filled with zombies, school bully 'Alvin' (on the ladder) and Norman's friend 'Neil'. 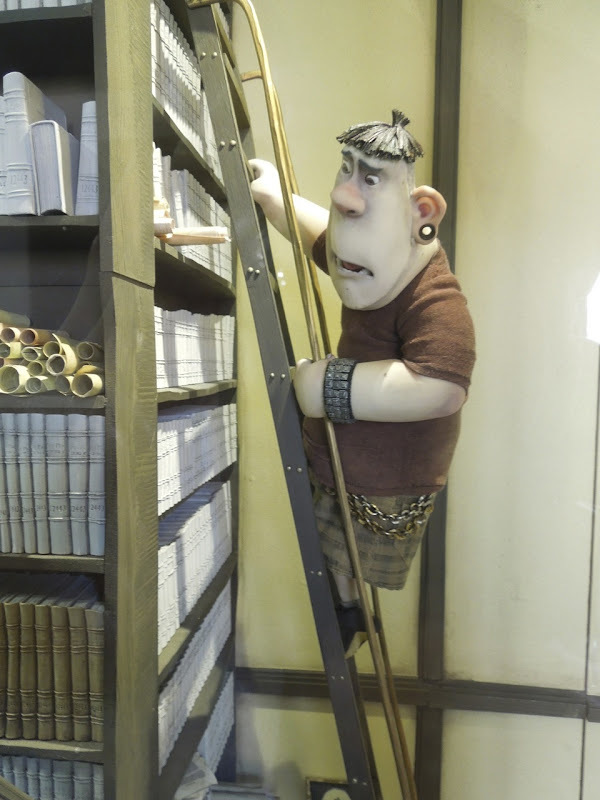 It really is amazing to see the level of detail that goes into creating these elaborate sets, the miniature books and scrolls on the shelves, the tiled flooring and even the electric sockets on the walls. If you like this, be sure to check out the Blithe Hollow Middle School set from ParaNorman also on display before the movie opened.